By the end of 2014, 50% of provincial level hospitals and 42% of primary hospitals has built up telemedicine centers in China respectively. Viewing from specific businesses, expert consultation is the most developed business, along with medical image consultation, education & training and pathology consultation. Approximate RMB 16.36 billion been invested on telemedicine in China in 2014, among which, PACS System, Regional Medical Information Platform and HIS System ranked the top 3 segments with investment amount of RMB 3.74, 3.06 and 1.84 billion respectively. Policies have largely limited the development of online healthcare in China. In August 2014, NHFPC of China released the Advanced on the Telemedicine Services among Medical Institutions’, which stipulated that non-medical institutions cannot develop telemedicine, only health consultation is permitted. Even so, the market size of online healthcare industry in China still reached RMB 10.88 billion in 2014, where transaction revenue accounts for more than 90% of the market share along with the decreased advertisement revenue in recent 5 years. It’s worth noting that smart devices accounts for 3.1% of the total transaction revenue in China in 2014. Currently the smart devices and services have not fully connected, this segment remains in the incubation period. The huge demand for telemedicine has already attracted some leading enterprises to invest in Chinese telemedicine market. The largest radiology service company in the US, vRad, signed a strategic cooperation agreement with E-TECHCO in April 2014. 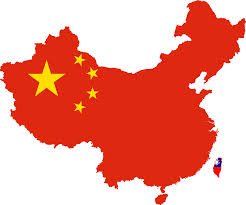 Both sides will provide tele radiology services for patients in the greater China region. The largest telemedicine consultation and service institution, WorldCare, has set up the China WorldCare (Beijing) Hospital Management Co., Ltd. Meanwhile, World Care has reached cooperation intentions with many regional goverments such as Nanjing. Mayo Clinic, built up a joint venture with HILLHOUSE Capital in January 2015. – Bringspring Science And Technology Co.,Ltd. – Guiyang Longmaster Information & Technology Co., Ltd.
– Hakim Information Technology Co., Ltd.
– Shanghai Yanhua Smartech Group Co.,Ltd. – Winsan (shanghai) Medical Science And Technology Co., Ltd.
– Yihua Healthcare Co. Ltd.
– Zhejiang Enjoyor Electronics Co., Ltd. This entry was posted in Introducing, Lifestyle Health, Longevity, Tele-Medicine, Telemedicine Reporter and tagged in China 2015, National Telemedicine Foundation, NTF, Research and Markets, Telemedicina Mexico, telemedicine, Telemedicine and Online Healthcare Industry, US Tele-Medicine by Admin. Bookmark the permalink. Much of the is determined by the foods you’re eating, once you are eating them and also the amount and type of exercise you’re doing. come naturally at all. Ask people who are around you who’ve dieted should they experienced these symptoms.